Looking for a stylish bathroom tap that is truly ergonomic and comfortable to use? Then check out the GROHE Eurosmart Cosmopolitan single-lever mixer with pop-up waste which will meet all your demands in terms of design, functionality and everyday performance. Thanks to the GROHE EcoJoy technology, you will be able to reduce your water consumption by up to 50% but still enjoy the feeling of a full jet of water. So you can have a refreshing and satisfying shower while helping the environment, and your wallet. 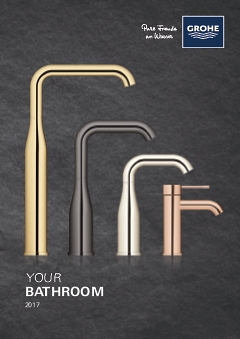 The Eurosmart Cosmopolitan tap is the perfect choice for a wide variety of bathroom styles!